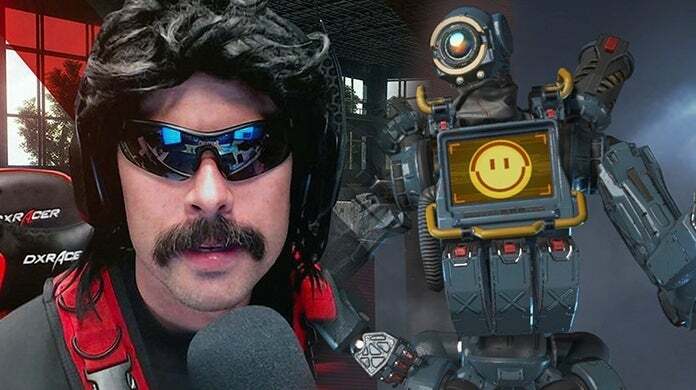 Popular streamer and content creator Dr. Disrespect has once again weighed in on Apex Legends, revealing that he's already burnt out on the new battle royale experience from Respawn Entertainment, despite it being only a month old. Further, he believes the game and hype around it is already declining, and that no Battle Pass is going to change that. More specifically, during a recent stream, Dr. Disrespect pointed out what a lot of players and streamers have been saying about the game recently: that it doesn't update its content reguarly enough to continually draw you in. And so at a certain point, you've seen everything the game has to offer. “We’ve experienced it all in Apex that you could possibly even do and I’m just a little burnt out on it,” said Dr. Disrespect. Meanwhile, while many players are hoping the game's Season Pass -- which will release in just a couple of hours -- will breathe new life into the battle royale title, Dr. Disrespect doesn't think it will do much to change anything. "With excitement and interest, it’s kind of already tapering off—actually kind of quickly," said the streamer." Further, while Dr. Disrespects acknowledges the Battle Pass will help maintain numbers for a little bit, after the initial wave of hype, it will start its decline again. Of course, whether the Doc is right or not, who knows. That said, the reception to the Battle Pass has been pretty lukewarm thanks to a lack of meaningful content, which likely won't bode well for the game's player retention throughout Season 1. Apex Legends is available, for free, via the PS4, Xbox One, and PC. At the moment of publishing, there's been no word of a Nintendo Switch or mobile port, though both have been hinted at. For more news, media, and information on the popular battle game, be sure to peep all of our previous coverage of the title by clicking right here. And if you haven't already, also give our official review a gander to find out what we think of Respawn Entertainment's effort. As always, feel free to leave a comment or two letting us know what you think. Do you agree with Dr. Disrespect?